Regularly reaching the battle finals on main and major events this season (European Championships in Berlin facing the current Top3 skaters, Battle Busto), even getting the Battle bronze and the Classic silver at SkateLondon, 2011 World No.20 Angelika Prucnal gained more than 10 places, entered the Top10 and finished 2012 at the 7th place of the World Ranking! You are widening the gap between you and the Czapla sisters, who have yet entered the Top15, and you are getting closer to Klaudia Hartmanis, the current No.2. Poland is settling at the top! What does it feel like to be in the Top10 ? First of all I would like to say that my main target wasn't and it will never be widening the gap between me and the Czapla sisters. They are my good friends with whom I am skating and training very often. Also I am not focusing on chasing Klaudia Hartmanis - this is not my goal. I am always trying to do my best during contests and never forget that skating is also fun ! I am really happy that I made it to the TOP 10 and I will try to keep that place in 2013 - or maybe get to the TOP 5. Is it more motivating to be a few skaters with international level in the same country to improve yourself? 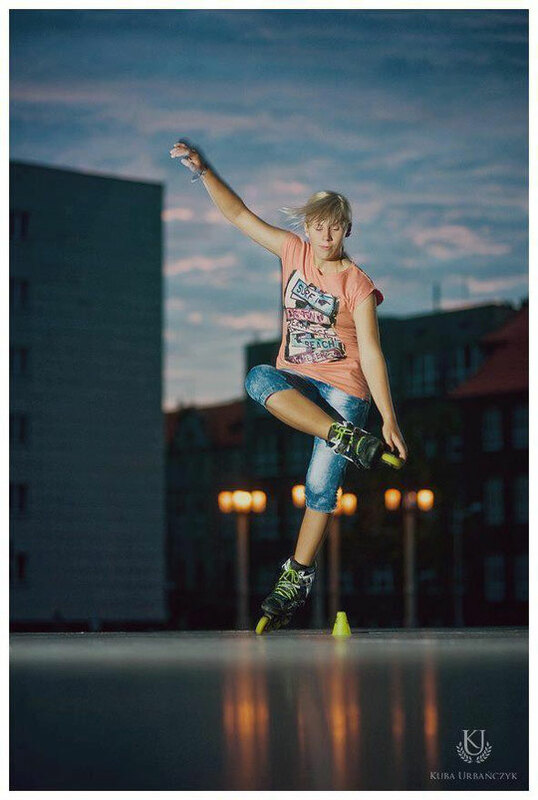 I am really happy that skating level in Poland is so high! It is very motivating and it pushes me to work harder. Also thanks to this, together with my team we are able to do a lot more than only events, like photos, videos or slalom workshops. Your best 2012 results ? My best result was I think in Berlin (4 cone event) (nb: European Championships). 4th in battle, 6th in classic and .... in slides ! I think that it was my the best performance. I'm really proud of this. What are your ranking objectives for 2013 and what competitions do you want to take part in? I don't have any special objective. I just want to participate in as many contests as I can and keep my place in the Top 10. Maybe if I am lucky I can enter the Top 5 ! For sure I will take part in all contests in Poland, I will try to go to all the 3-cone events in Europe and travel for the first time to Asia this year! Also for sure I will go to Barcelona! People you want to beat next season? Haha! I wonder if somebody will ever answer to this question with my name! Things you want to improve in your skating and in your competition management next year? I would like to learn some heel wheeling and sitting tricks. I want to work on my style too. As for competition management, I would like to improve my classic performance because I don't feel super confident in this contest! About stress - I think I will never be able to get rid of that.